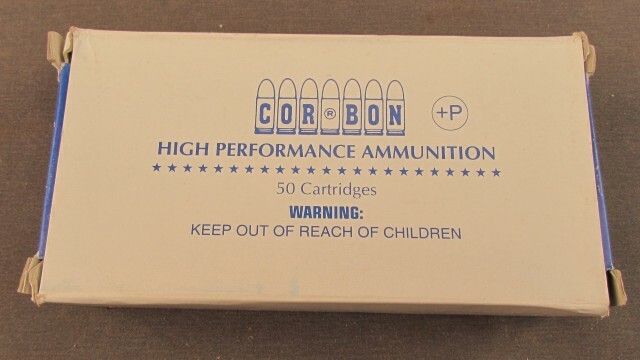 Description: One full 50 round box of corbon 40 S+W loaded with 165 grain jacketed hollow point bullets with velocity of 1125 feet per second. 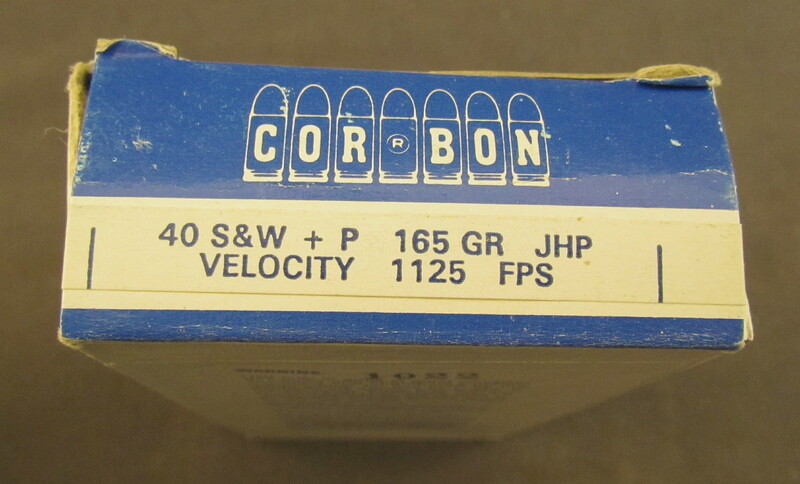 This ammo is loaded to +P pressures and should only be fired in guns built for this +P ammo. Box is shelf worn, ammo remains bright and clean.